UT Dallas engineers have developed new structures that are even stronger than Kevlar, a synthetic fiber widely used in bulletproof vests. The new structures are able to stretch approximately seven times their length. 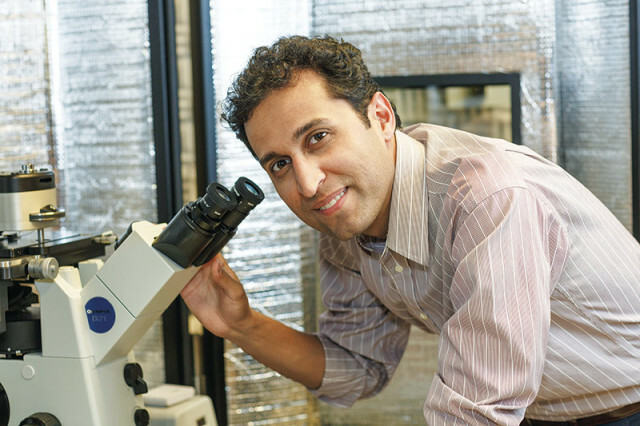 Led by Dr. Majid Minary, an assistant professor of mechanical engineering, the researchers relied on a previous study about the piezoelectric action (the idea that pressure forms electric charges) of collagen fibers to guide them. The engineering team used fluoride (PVDF) and its co-polymer, polyvinvylidene fluoride trifluoroethylene (PVDF-TrFE), to spin nanonofibers. The researchers created yarns by twisting the fibres and then into coils by twisted them further. “It’s literally twisting, the same basic process used in making conventional cable,” Minary, a member of the Alan G. MacDiarmid NanoTech Institute, explained. The engineers hope their new structures can be used for defence applications, including in military planes. Minary and his team plan to continue their research and make larger structures out of the yarns and coils.